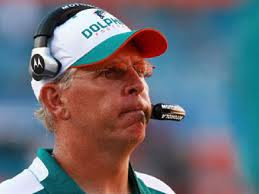 A few facts have been established in the search for the next Dolphin coach; many great coaches have been retreads, coaching longevity most often includes the presence of a great QB, no coach has ever won the Super Bowl with two different teams, and coaches who have walked away from the game for more than a couple seasons, have never been able to duplicate their success. Many great coaches came from inauspicious beginnings; Tom Landry’s career in Dallas began with a 0–11–1 record, Chuck Noll was 1-13 his first season with the Steelers, Bill Walsh was 2-14 with the 49ers, Bill Parcells, 3-12-1, Jimmy Johnson, 1-15, Belichick was a little better at 6-10. Each went on to win multiple Super Bowls and are easily recognized among the greatest coaches of all time. With one win in his first season, Cam Cameron equaled the likes of Landry, Noll and Johnson and had only one fewer win than Bill Walsh. The coaching profession hasn’t changed as much over the years but the media and fan’s need for instant gratification has grown exponentially. 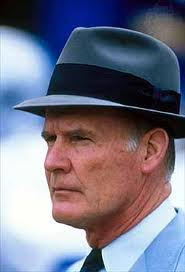 If Tom Landry was to coach the Dolphins to 0-11-1 record today, imagine the size of the rocks hurled at his escape vehicle. It begs to wonder whether Cameron could have become a good head coach given the opportunity. Perhaps going 11-5 in his first season set the expectations way too high for Tony Sparano. The gimmick that got Sparano to 11-5 was ultimately his undoing in many ways. Thinking he had a winning formula with the wildcat, he tried to develop his team around that flawed strategy. What started with Jake Long and Chad Henne turned into Pat White and Brandon Marshall and a team without direction. Building with a great offensive tackle and good QB, turned into a circus-show that defenses easily caught up with. The stroke of brilliance when the Dolphins beat the Patriots, eventually turned into Tony’s demise. The same media and fans that ran Cam Cameron out of town would not have hounded Sparano as hard because of the presence of Bill Parcells and the low expectations set by Cameron. By winning, Sparano set the tone of expectations and by doing so with a gadget, set himself up for disaster. The game of football has always been, and will always be about the basics, running, throwing, catching, blocking and tackling. Schemes will come and go, but the basics will always remain. Great coaches build the foundation on basics and use schemes to optimize talent. Building a team based on a scheme doomed Sparano to failure and that leads us our next coach, Jeff Fisher. Jeff Fisher’s NFL playing days ended when he broke his leg while being tackled by Bill Cowher on a kickoff return. It’s ironic these two marginal football players would mirror each other throughout their careers. Fisher played on the iconic Bears teams of the 1980’s but spent the Super Bowl season on injured reserve due to the hit by Cowher. As NFL coaches, they faced each other twice a year in the same division. The situational similarities end there, the Titan organization was nothing like the Pittsburgh Steelers. While the Rooney’s epitomize stability in the NFL, Bud Adams comes from a much different background. Adams is chairman and CEO of Adams Resources & Energy and made his billions in the oil fields of Oklahoma. He was the CEO of Phillips Petroleum for years and was appointed chief of the Cherokee Nation by President Harry S. Truman in 1949. To say he led an interesting life would be an understatement. In 2009 at the ripe old age of 86, Adams returned to the role of Tennessee Titan team president. The NFL fined him $250,000 that year for displaying an obscene gesture at the Bills game on November 15. Afterwards, Adams remarked, "Oh, I knew I was going to get in trouble for that." A promising start to 2010 fell apart amid conflicts between Adams, Jeff Fisher, and QB Vince Young. The Titans finished 6-10 with the contracts of Fisher and Young terminated in January 2011. 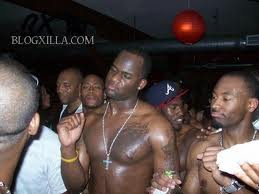 Adams is a meddling eccentric owner and placed himself between Fisher and QB Vince Young. It is amazing Fisher was able to handle Adams for 15 years as the Oiler and then Titan coach. When Fisher refused to play Vince Young after the Young had quit on his team, his relationship with Adams ended when Adams demanded Young play. Fisher knew only tough love would mold Young into an NFL QB, but Adams gave Young the out he needed to continue his childish behavior. Fisher is a hardnosed defensive minded coach who comes from the line of Mike Ditka and Buddy Ryan. He went 1-5 in 1994 after taking over as interim coach from Jack Pardee. Hired that off-season, he instantly selected Steve McNair in the first round of the 1995 draft and Heisman Trophy winner Eddie George the following year. In 1995, there were not many black QBs in the NFL and selecting a guy from Alcorn State was highly questionable. Fisher never wavered and in 1999, the Titans lost 23-16 in the Super Bowl to the St. Luis Rams with Kevin Dyson tackled one yard short of the goal line as time expired. Fisher’s Titans would reach the playoffs 5 more times over the next 10 years but a return to the Super Bowl eluded him. Fisher did not start Steve McNair until his third season, grooming the young QB before throwing him to the wolves. McNair had several stellar seasons but trouble began with an arrest for DUI and illegal gun possession in May 2003. In December 2003, McNair’s season ended with a calf injury and he played only 10 games in 2004 with a bruised sternum. In 2006, the Titans traded McNair to the Ravens for a 4th round pick and drafted Vince Young. Drafting Young may have been Fisher’s undoing but once again he showed his understanding of the NFL and the need for a franchise QB to be successful. At 54 years of age, Fisher is still a young coach who has yet to win a title. Of all the retreads, Fisher shows the most promise. He immediately goes after a QB to lead his team; he is a good drafter, including the likes of Chris Johnson, Jevon Kearse, Albert Haynesworth, Randy Starks, Chris Henry, Kenny Britt, Eddie George and the aforementioned QBs, among many others. Steven Ross’ penchant for celebrity owners has nothing on Bud Adams. Handling Adams for 15 years shows the environment will not be too big for Fisher. Kicking Vince Young off the team and cutting Albert Haynesworth in mid-season shows Fisher has little patience with players who think they are larger than the team. Most of all, Jeff Fisher will take action. He will not tolerate his teams playing without emotion and he will draft a QB to lead his team. Fisher has not shown up on any pre-game telecast and has no interest in broadcasting. He is a coach, still hungry to win the big prize. For these reasons, Jeff Fisher is best choice of the retreads to coach the Miami Dolphins.